A staple of our Africa Belle Festival, our annual Women’s Empowerment Breakfast is a mix of networking, engaging discussion, and celebration of African female leaders in the metro-Atlanta area and beyond. This breakfast welcomes entrepreneurs, aspiring entrepreneurs, students, and corporate professionals- come network! 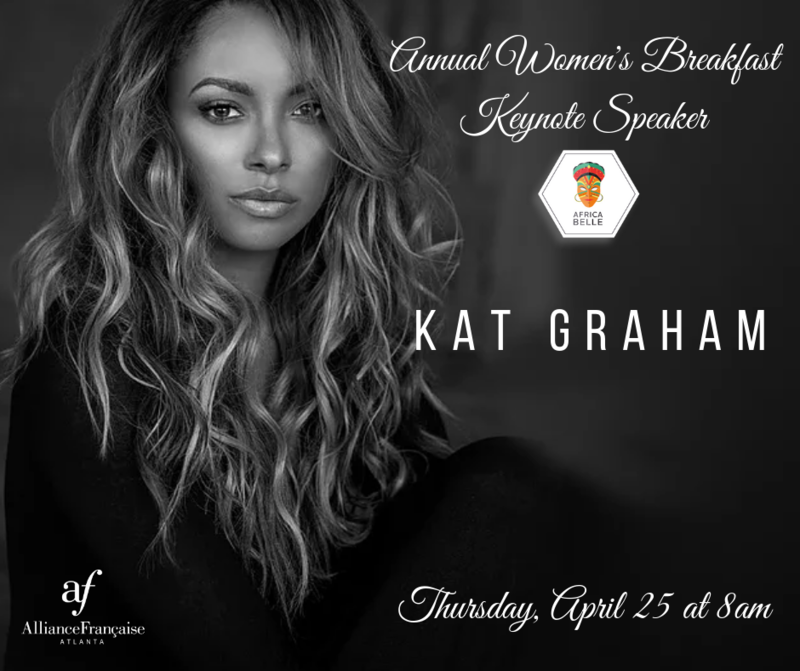 Our keynote speaker will be actress, singer, dancer and producer Kat Graham. Born in Geneva, Switzerland, Graham speaks four languages – English, Spanish, French & Hebrew – and is one of the most accomplished and versatile young talents working today. She is an active ambassador for Empower 54, a non-profit organization that offers assistance throughout the African continent through health, rural development, educational, empowerment initiatives for women and girls and successful IDP/refugee programs. This event is supported by the Fondation L’Occitane en Provence‘s initiative to support women’s leadership in Burkina Faso. They work with women producing shea butter in Burkina Faso since the 1980s with an objective of co-development, concentrating their actions on supporting women’s entrepreneurship to promote their emancipation. Read more about their action here. Guests will be privy to a gourmet breakfast, as well as Shea Butter gift sachets from L’Occitane en Provence.